Whenever I speak with an alumnus of Saturday Night Live -- especially a recent graduate of the show -- I find it difficult, if not impossible, to refrain from asking a question or two about their experiences as a member of the comic ensemble that old fogeys like me still call the Not Ready for Prime Time Players. 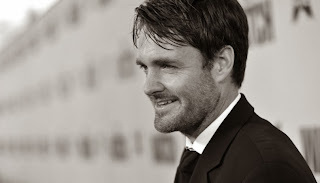 So when Will Forte appeared a few weeks ago at the Houston Cinema Arts Festival for a screening of Nebraska -- which, not incidentally, is my favorite movie of 2013 so far -- I couldn't help myself. Fortunately, Forte is a gracious gentleman as well as a great comedy-sketch artist -- and, as you'll see in Nebraska, an exceptionally fine actor -- so he indulged me. We talked a great deal about his movie for CultureMap.com. But we also shared some words about SNL, which I will share with you. Did you ever see Saturday Night, James Franco's documentary about a typical week of production for Saturday Night Live? Because the movie makes a point that many other folks often raise regarding SNL: Viewers always think the best cast in the show's history is the one they saw when they first watched the show. Which means, I guess, is that by the time you were cast as part of the ensemble, you weren't just worried about comparisons to John Belushi or Chevy Chase or Dan Aykroyd. You were standing on the shoulders of several giants. It is really interesting to see the different waves. Because I was born in 1970. And when I was just a kid, I watched the beginnings of SNL. I would watch it for Mr. Bill – but I would also see the other stuff. And when I got older, I loved the Eddie Murphy era – I was such an Eddie fan. And every step of the way, there was a new cast that I would love. Of course, you’re right: I always looked back to that original cast as, well, there would be no show without them. And they were untouchable. I don’t say that to demean any of the other casts, because there have been so many other wonderful, wonderful casts. And I have so many comedy heroes that come from each era. And now you are viewed as a comic hero by other people. It reminds me of the final part of Ray Bradbury's The Martian Chronicles, when the son of one of the earthlings who colonized Mars asks his father to show him some Martians. So dad takes him down to the river, and tells him to look at his reflection -- to show him, in effect, "Hey, we are Martians now." Well, when I came in, it was right after Will Ferrell had left. And I had been such a huge Will Ferrell fan. There were still some wonderful people there. But he had been such a major part of that show, and now the show seemed to be searching for its new identity. And there were a couple years there when it seemed like people were down on the show. But when that influx of new blood came in, with Bill [Hader] and Andy [Samberg] and Jason [Sudeikis] and Kristen [Wiig], we really started to jell together. You could just feel this new identity forming. I could still sense a lot of criticism of the show. But it didn’t matter to me because I was really proud of it. And you could feel the tide starting to turn -- people starting to catch on a little bit, giving us a chance. And then when people are finally OK with it again – everybody leaves. So it’s interesting now to read things where people are going like: “Oh, this is nothing like the Bill Hader days!” But it’s just the natural ebb and flow of the show. Because that show is in really good hands right now. These new people are fantastic. And it’s going to be fun to see the identity that they create. And it seems like people are very optimistic, which is great. So I hope they get the benefit of the doubt. Because it’s really exciting to see what path the show is going to take. There’s always an element that’s similar, because there’s that same structure. But it’s different at the same time. It’s interesting, though, what you said about the Martians. Because the first several years I was there, I – I don’t know how to describe it, but, yeah, I was very nervous. It’s like coming into this Nebraska situation. I was telling myself: “What an honor it is to be here. Don’t ruin these wonderful heroes of mine. Don’t take their show and ruin it.” So I felt this pressure. I look back at my time on that show as, it was my dream job coming into comedy – and I got to do my dream job. And I have nothing but wonderful, wonderful memories. Everyone should be so lucky as to do their dream jobs. He's pretty insightful and self-aware, isn't he? Good interview, Joe. Thank you.